Stretch & Strength is a “work hard, rest hard” corrective exercise session that restores and realigns posture so a more stable base can be created for you to live and play from. The body is a mix mash of length/tension relationships, meaning that when certain muscles are lengthened there will be opposing muscles that will be tense and strengthened. With poor posture, these relationships are dysfunctional which causes the rounding forward of the body - back to fetal position we go! The trick is to get muscles doing the part they have been created to play. When this happens, the body holds itself up straight, the way the sails on a sail boat hold itself up. For example, up one side - the front of your body (length) and down the other - the backside of your body (tension). Facilitated Stretching, or PNF Stretching, is muscle-group specific and reflects a natural way of moving. One side of the joint is lengthening (stretching) while the other side of the joint will be tensing (strengthening). To understand how this all happens you should know there is an organ in the tendon of the tensing muscle that triggers the brain to shut “off” filaments in its opposing (lengthening) muscle. This protects you from tearing or straining the stretching or lengthening muscle. Amazing isn’t it? It all boils down to the movement pattern being used. 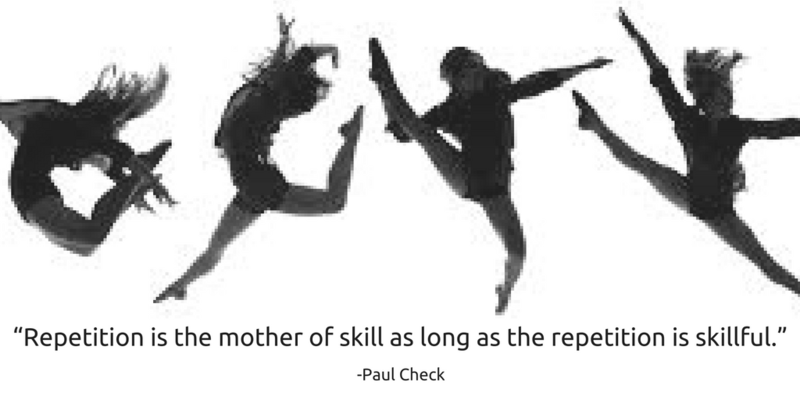 After that, it’s about the skill behind the movement especially if you desire to improve your abilities. When we age without conditioning the body the way it was designed, we meet gravity with nothing to hold on to, hence the loss of balance and forward head posture. The head is 8% of your entire body weight! No wonder the upper neck and lower back take a major hit, especially with so much time spent texting, myself included! Fighting against gravity can be for some a painful and exhausting life experience, but that doesn’t have to be the way! No, it’s not normal to age in pain and drop out of activities you love! It’s a choice. When we start living a smart fitness lifestyle, by the time we get to mid-life there is no slowing down and retirement is active and fun. Besides time, it's gravity that has an impact if we are not careful. Every centimeter the inner ear moves forward, the more the neck and upper back get put under stress from gravity pulling on the front of the head. The reason the chin doesn’t drop down but pokes forward instead is, again, for our protection. To feel safe in our environment our eyes need to be level with the horizon. Along with stretching, to correct the imbalance the reverse movement must be practiced repetitively 10,000 times+ and skillfully, hence the importance of education in technique and form. Focusing on the whole body, not just the area where the discomfort is, is the key to a great exercise program that meets the demands of the environment you love to be in and desire to stay in! 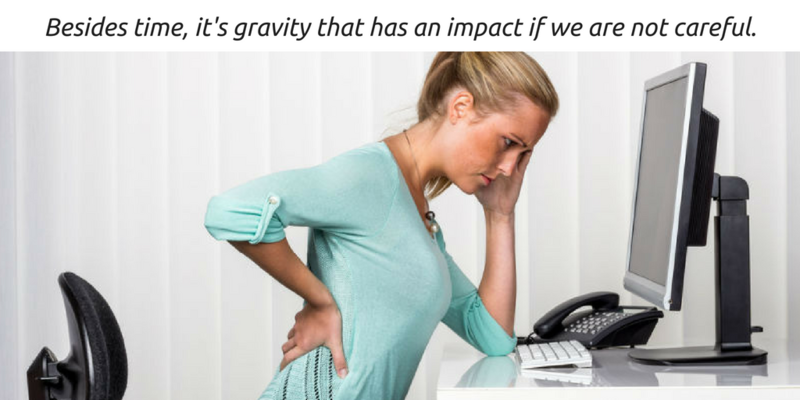 So while many of us have office jobs and spend the majority of our working week in front of a computer, there are many things we can do to reverse the effects and prevent pain and repetitive strain injuries. Follow along with the following stretch and strength exercises to reverse the forces of gravity and start improving your posture today (fitness and health information presented is intended as an educational resource and should not be used for the diagnosis or treatment of medical conditions). Josette's stretch and strength program is a unique, one-of-a-kind approach to improving body function. While other approaches may focus solely on movement, stability or strength components with some overlap in the other areas, Josette has found a way to tie together movement patterns with stability and strength parameters that engage the body in a perfectly functional way. Josette's unique stretch and strength exercises can be found on healthSwapp for practitioners to incoporate into their patient's home programs.